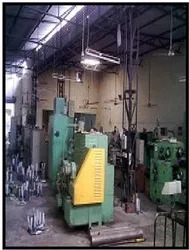 We, Tool Masters India, were incepted in the year 2004 and are counted among the top notch companies engaged in the manufacturing, supplying and exporting of various Precision Cutting Tools, Gear Cutting Tools, Gear Hobs, Spline Hobs, Gear Shaper Cutters, Spline Broaches, Keyway Broaches, Sprocket Hobs, Scalping Cutters, Gear Milling cutters, Gear Shaving Cutters, Timing Pulley Hobs, Involute Spline Hobs, Shank Type Shaper Cutters, Disk Type Shaper Cutters, Herringbone Shaper Cutters, Serration Broaches, Bevel Gear Cutters, Rack Cutters, Spiral Type Cutters, Angle Cutters, Side and Face Cutters, Convex Cutters, Concave Cutters, Reamers, Machine Reamers, Chucking Reamers, Straight Bevel Gear Cutters, Threading Rolling Dies and Flat Thread Rolling dies. Our sound infrastructure enables us to deliver our range to the clients on or before time. 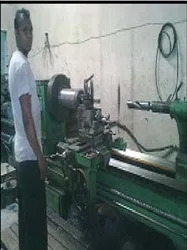 Our state-of-the-art infrastructure includes a manufacturing unit spread over a massive area and is well prepared with the sophisticated machines such as drilling, welding, lathe and other machines. Our highly qualified and dedicated team of professionals works as per the industrial standards and the client’s requirements. These professionals enable us to offer our clients with customized solutions and packaging facilities. 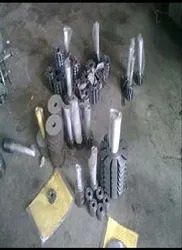 These are being supplied and exported to various companies in the domestic and international market like East Asia, Middle East and South East Asia. Our wide range has been widely in demand because of their qualitative features. 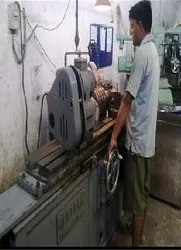 We offer our clients with various Gear Hobs, Involute Spline Hobs, Broaches, Spline Broaches, Scalping Cutters, Gear Shaper cutters, Involute Gear cutters, Sprocket Hobs, Reamers, Side and Face cutters, Threading Rolling Dies and Milling cutters. These are made of high grade raw material with the use of highly sophisticated machines. Efficiency and dedication is the essence of success of an organization. We are fortunate enough to have a team which comprises of highly skilled and dedicated personnel in their respective work. We have various engineers and technocrats working day and night to get the best out of our abilities.